This is a little spot where I will share channel happenings, random thoughts, behind the scenes information, ideas, and the occasional coffee appreciation quote. Almost a year has passed since her transformation. Malaynaeh has been drifting in darker parts of the sea, learning how her new world works. She is now surrounded by truly powerful followers of Cthulhu, who have accepted to teach her their ways. After months and months of adjusting to her new reality, she now faces the first serious challenge in order to prove herself. 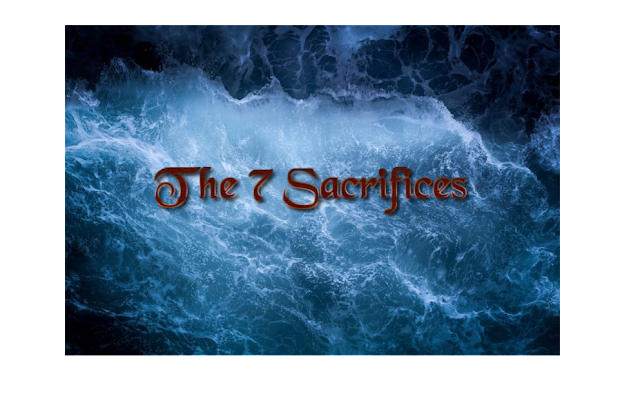 Malaynaeh must accept to perform the 7 sacrifices. An ancient ritual of initiation, the 7 sacrifices are a two-fold chain of rituals. The Dark priest/priestess in training must sacrifice 7 souls, and for each soul, a piece of their own soul is extracted. After every sacrifice, the priest collects a soul, and one token, which will serve as ingredients, when everything is completed. Malaynaeh must gather 6 willingly given souls, and 1, more powerful soul which will be forcefully taken. She will receive instructions for each one, as the method for each sacrifice is decidedly different. But first, she must sign a sacred contract, pledging herself to this dark task and the consequences that come with it. We are all slaves of our own choices. Thank you to my dear friend Aster for helping me with the "7 sacrifices" picture!! New bonus face touching video! Bonus rubber gloves hand movements video!